South Africa’s unemployment rate is one of the highest in the world. The country is number 12 on the list for high carbon emissions. These are the two biggest crises facing the country. New minister, Gigaba, has to explain how South Africa will create growth and jobs, whilst simultaneously mitigating the impacts of climate change. 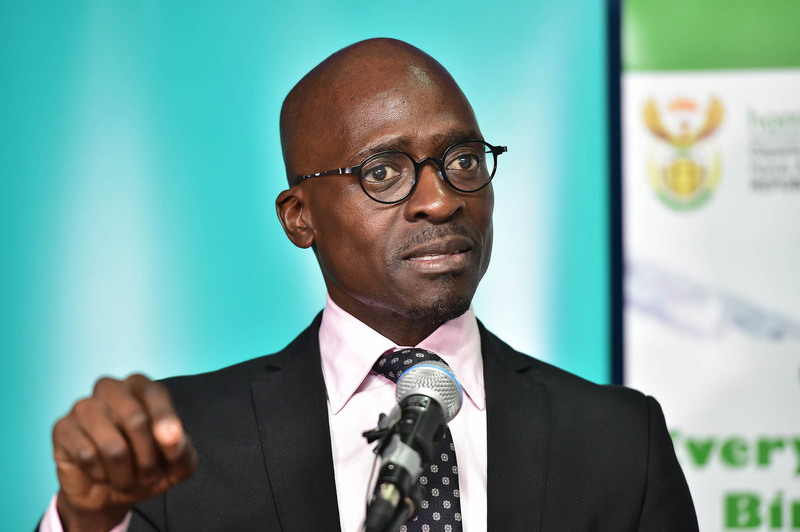 In tomorrow’s MTBPS, we will see where new minister Gigaba stands. The signs are not good. The mainstream view is that the finance minister should tighten government spending, and reduce the budget deficit in order to get through this low growth cycle. It is argued that this will help improve investor confidence, leading to an improvement in growth in the long run. This has been tried before and has never worked. It will keep the credit rating agencies happy for a bit longer, but it will do nothing to address either unemployment and poverty or climate change. Gigaba faces a President who is determined to lock in the nuclear build before the ANC conference, at all costs. Up to now, he has said different things on this issue. Shortly after he was appointed, he indicated that it was too soon to tell if the nuclear build was affordable or not. Despite this it has been reported that at meetings with the IMF and World Bank recently, he indicated that nuclear is unaffordable. But now the balance of forces has changed. Gigaba faces an Energy Minister who is assumed, to be a close ally of the President, and to have been installed to smooth the nuclear path. Already, Mahlobo has only spoken favourably about nuclear energy, ironically using an outdated policy document, the Integrated Resource Plan (2011) to legitimise his position. 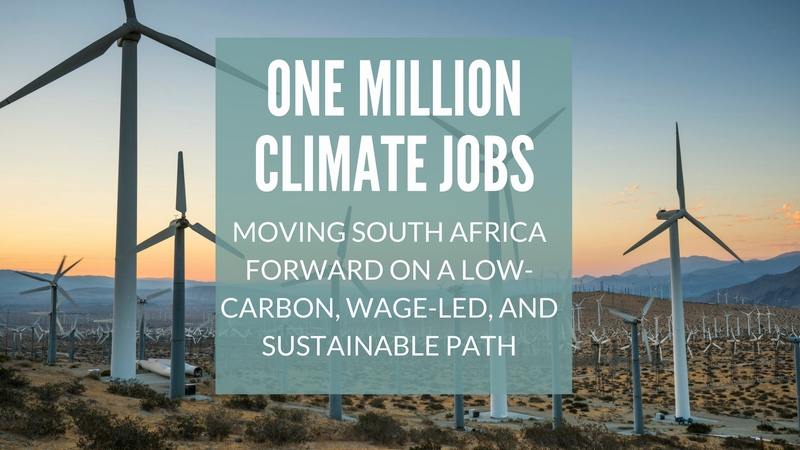 What Gigaba needs to do is to deal with the threat of climate change and simultaneously create jobs, through a publicly owned renewable energy programme. Creating climate jobs remains the best way forward. 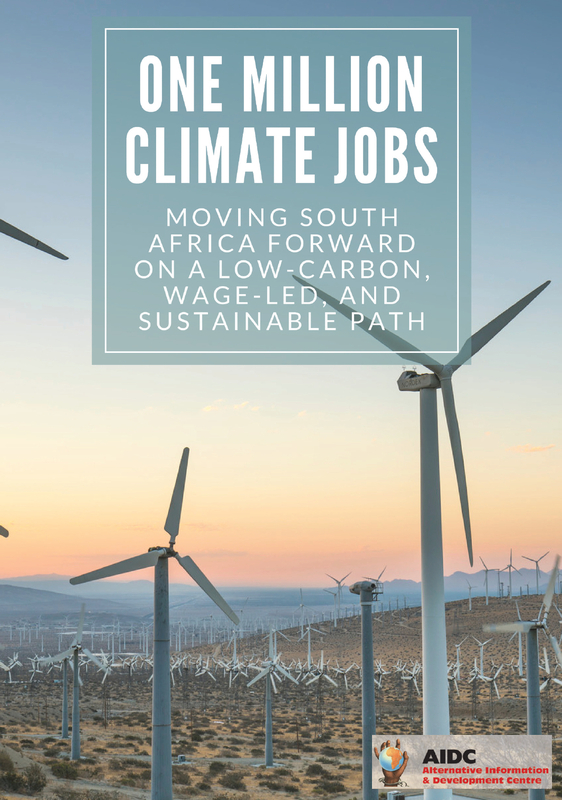 AIDC’s latest research indicates that a publicly owned renewable energy industry in South Africa could provide 35 times as many jobs as government’s Renewable Energy Independent Power Producer Procurement Programme. Most of these jobs would be permanent. Half of them would be industrial. All of them would contribute to cutting greenhouse gas emissions by more than 75% over 20 years. Some of these climate jobs would come from the immediate roll-out of an efficient and affordable public transport system, powered by renewable energy. Renewable energy projects are an example of small projects that can be mulitiplied locally. The government is instead set on giant project, trying to take a leap into a European fossil energy modernity instead of building labour intensive development from the ground: clinics, local roads, priped water, sanitation, housing and schools, which would get support locally instead of provoking clashes with communities who defend their land, as is the case with Sanral’s Wild Coast Toll Road. The ‘development house’ of the government has no foundation. The whole NDP and the investments in infrastructure are aimed to serve the mining and oil/gas industry (like the ‘Ocean Economy’, which threatens the oceans by drilling in the floor of the ocean) are example of corporate led development in the service of big capital. 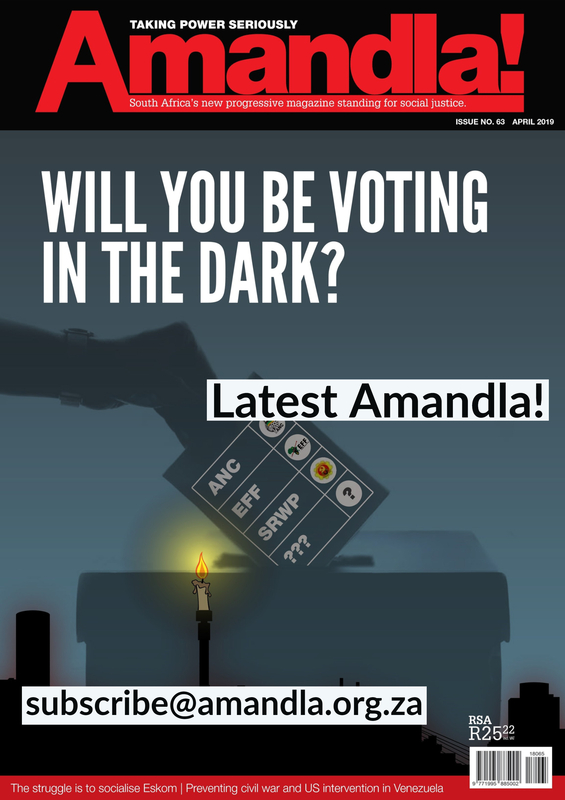 The mega projects are also typically the site of mega corruption and sky rocketing bills, as the World Cup and the Eskom scandals with Meduphe and Kusile have revealed. The oil pipe-line from Durban to Mpumalanga was budgeted for R8 billion and ended close to R30 billiion in costs. It would create the opportunity for a more inclusive and sustainable growth path. In the first instance this would help to reduce unemployment, which would have a positive effect on consumer demand and reduce dependence on exports. It would give South Africa a comparative advantage in a growth industry of the future. What about the SOE’s ? SA needs public companies, which are not run as if they are private corporations but truly for non-profit; which respect the rights of the communities instead of treating these rights with contemp, as does Sanral with its N2 Wild Coast Toll Road project. We need for example a public airline that also traffics small destinations so that the economy of the whole country is supported; and which follows protective labour laws and put pressure on private airlines by its example. The opposition to the saving of SAA with R10bn from Public Investment Corporation (PIC) is only understandable from the perspective of the campaign against state capture and corruption. In reality, however, R10bn is half a percent of the PIC funds. From that perspective the scream about our pensions is short sighted. The PIC must from time to time make such interventions, but in this case it must be combined by saving SAA from looting. If looters are taken to court, then the government will get space to use a public fund for public purposes and credit raters could never take that as an argument for lowering ratings. Strengthen enforcement bodies to increase the pressure on non-compliant tax-payers and companies. Failure to do this will send a signal to South African citizens that tax justice is simply not a priority. Increase Personal Income Tax on the highest earning tax payers. By failing over many years to adjust the tax brackets in line with inflation, government has in fact been moving in the opposite direction. This trend must be reversed. Implement a wealth tax. South Africa is widely cited as one of the most unequal countries in the world, with a high gini coefficient. But this coefficient only takes into account income, not accumulated wealth. A wealth tax would plug that gap. Mobilise public and private assets through a ‘prescribed assets’ policy for pension funds. For example, 10% of public funds and 5% of private ones could be compulsorily used for the just transition, against the promise of a fixed interest rate. This alone would mobilise R220 billion at prescribed interest rates. Add to that the surplus from the Unemployment Insurance Fund (R20 billion a year) and tax (or a compulsory investment scheme) on the R725 billion of dormant assets held by non-financial corporations, and there is substantial funding for the just transition and the fight against unemployment . The bottom line is not the technical feasibility of this strategy. We have demonstrated that. The bottom line is the political will to put the fight against poverty, inequality and under-development ahead of the apparently insatiable appetite for personal and corporate enrichment. Regrettably, with this government, we won’t be holding our breath.